Collector's Edition is limited to 2,000 copies available worldwide. Region free. This game features reversible artwork. Which cover has been sealed outwards has been randomized by the factory. 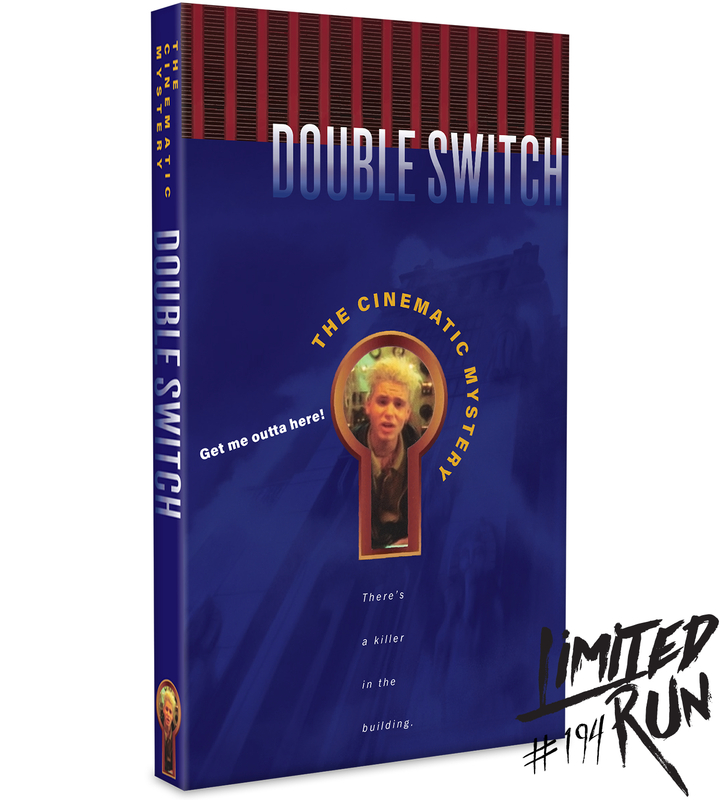 The Double Switch Collector's Edition includes: Double Switch on physical game for the PlayStation 4 Die cut box designed to look like the original PC release of Double Switch, sized to match the dimensions of our Night Trap PS4 Collector's Edition. 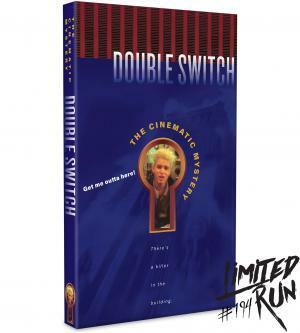 18 x 24 inch poster featuring all-new art from illustrator Paul Mann Double Switch soundtrack on cassette tape Double Switch 25th Anniversary Edition logo decal The game takes place in an apartment complex called the Edward Arms, which was built by the famous industrialist Lionel Atwater Edward III at the turn of the 20th Century. Built following an archaeological expedition to the Valley of the Kings, the building has an ancient Egypt theme and is rumored to hide a valuable statue of Isix (named after the precursor to Digital Pictures) stolen by Edward during his expedition. The player character, an anonymous, silent protagonist, is contacted via video call by the current owner of the Edward Arms, a young man named Eddie. Eddie says that he has equipped the building with cameras and traps to protect the tenants from the local criminal element, but one of the tenants has locked him in the basement. He gives the player character control of the cameras and traps and directs him to protect the tenants, trap the handyman Lyle whenever possible, and find the security codes to get him out.